The Everlasting Empire – Everything is Oll Korrect! Note: This is another repost from Thermidor Magazine, originally published on December 20, 2017. As usual, it is republished here with minimal editing. When looking at an outline of Chinese history, one of the most striking things is the longevity of China’s imperial structure, lasting from the unification of China in 221 B.C. all the way to A.D. 1912. As far as I’m aware, the only Western state to even approach this record is the Roman Empire, beginning (to use one common starting date) in 27 B.C. and not fully collapsing until 1453. Now, China was obviously not a serene empire, as dynasties certainly did rise and fall, sometimes with anarchic periods in between these the collapse of one and rise of the next. Nonetheless, each succeeding dynasty adopted the basic structure and governing ideology of its predecessor. Not until the Twentieth Century was the imperial structure fully destroyed and left behind. How was this possible? Demographics also fail to provide a satisfactory answer to Chinese unity. Pines explains, “[N]ot only did ethnic minorities continuously occupy important pockets within so-called China proper, but also the core ‘Han’ population remained highly diverse in terms of spoken language, customs, modes of life, and even religious beliefs and pantheon.” He concludes that the answer, then, is largely ideological. Now, during the Warring States period there was a remarkable amount of intellectual diversity. Some of this would carry over into later eras, though unsurprisingly the Qin dynasty, shortly after unifying China under their rule in 221 B.C., did make sure to rein in the “unruly stratum of scholars,” as Pines calls them, and later emperors generally followed suit to varying degrees. Nonetheless, the literati arrived at a consensus on a few topics, including the necessity of unity and monarchism. As an example, Mencius is known for an almost pacifistic idea of politics, and he argued that only a “benevolent and nonmilitaristic ruler, ‘who has no proclivity to kill,’ would attain final unification.” Pines contrasts Mencius to his militaristic contemporary Shang Yang, who “was notorious in his advocacy of attaining victory through ‘performing whatever the enemy is ashamed of. '” Yet both would agree with Mencius’ dictum that “stability is in unity.” The central question of the era was not whether China should be unified, but by what means it should be unified. The persistence of this attitude would have profound consequences for later Chinese history, because it prevented future periods of disunity from becoming a permanent balkanisation. Local rulers and warlords, sovereign in all but name, would continue to nominally acknowledge the emperor’s authority and never take that final step and simply declare themselves sovereign over their own territory. It was taken for granted that there could only be one sovereign, so to claim sovereignty would imply that all other states must submit. Absolutists may frown and ask why the emperors didn’t clamp down on these troublesome scholars. 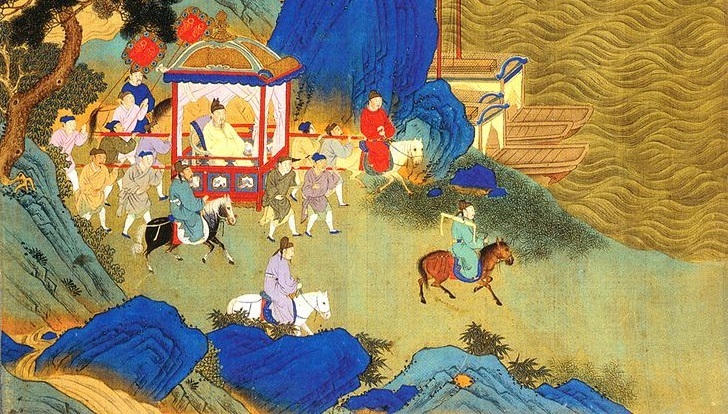 We should note that several emperors were less concerned with their historical reputation than Shizong in the story above, and did torture and execute particularly troublesome critics. Part of the answer for why others were more tolerant is that the first dynasty, Qin, did adopt Legalism as its guiding philosophy and attempted to enforce stricter uniformity. However, the Qin collapsed after just one emperor, and was fiercely criticised as tyrannical. The following dynasty, the Han, was more tolerant (though it’s worth noting that this dynasty was initially weak, and so perhaps simply unable to enforce its will as firmly as the Qin). Emperor Wu, who reigned 141-87 B.C., ended this lenient policy and granted Confucianism canonical status, in part by instituting the examination system that would gradually become so central to the imperial bureaucracy. Why Confucianism specifically? In part, it functioned as a compromise with the literati. Though other schools would have served Wu’s purposes more directly, many scholars saw Confucius as an intellectual ancestor, so by granting them official status Wu could bring them into the imperial system, make use of their talents, and gain more control over them, while allowing them to maintain their dignity. The Confucians may not have quite been absolutists, but they were plenty authoritarian enough to work with the sovereign and help grant him legitimacy while also not turning into mere sycophants. In every generation there are talented people. I am only concerned that one may not be able to recognize them. If one is able to recognize them, why should he be concerned that there won’t be enough of them? The so-called ‘talented people’ are like useful tools. If they refuse to exercise their usefulness, they are no different from people without talent. What do I do with them if I do not execute them? To put it mildly, then, Emperor Wu was aggressively utilitarian, in direct contrast to Confucius’ maxim that “The accomplished scholar is not a tool,” that is, learning is not merely for utilitarian purposes. Now, despite Confucianism’s official status and the occasional utilitarian or moody emperor chopping off the occasional head, Chinese intellectual life was still livelier than one may expect, even if it never did become as unruly as during the Warring States period until near the very end of the imperial system. One interesting example that Pines refers to is the Neo-Confucians, who, despite efforts to suppress them (undertaken with varying degrees of zeal, from indifference to outright bans), eventually saw their own philosophy enshrined as the canonical interpretation of the classics. Pines explains that they were able to achieve this “victory from below” because, though formally the emperor had the authority to determine the official orthodoxy, ban certain scholars and books, and so on, in practice Chinese intellectual life was the domain of the literati. Further complicating matters for the would-be censors is that the literati “were addicted to writing,” and produced so many books and treatises that attempting to regulate all of them was unrealistic. The above description may tempt a modern reader to make the same basic analysis of today’s intellectual scene; as unfashionable as Right-wing ideas are, there are so many blogs, websites, social media accounts, and so on, often further covered with anonymity, that aside from a few high-profile exceptions attempting to ban or censor them is extremely difficult. Of course, whether that continues to be the case is difficult to predict. Also worth considering is that the Neo-Confucians appear from Pines’s account to be an example of converting the elite. However, the Confucian scholars already formed one stratum of the elite, and the Neo-Confucians part of that same class. Even in Emperor Wu’s day, he was willing to work with the Confucians because they were already a large and influential school, not a small handful of pseudonymous authors passing around essays within their own social circles. That China, particularly after unification, had a formal elite to convert was another advantage that offered them a clearer way forward than what dissidents in the modern West must deal with. As I suggested when writing about The Book of Documents, those using the “Become worthy, accept power, rule” formula would do well to examine how the Confucians actually managed to do this. There’s certainly more to this story than what Pines covers; he is, after all, merely offering an overview of over 2,000 years worth of history, but his book may offer a good starting-point. Today, as the economic center of gravity of the modern world shifts back toward Asia, and Western narratives of historical progress are increasingly questioned, blind faith in the supremacy of European sociopolitical and intellectual models gives way to more sober reflections. While we remain deeply enmeshed in our own hegemonic discourse – that of democracy, equality, and human rights – it may still be refreshing to weigh the advantages and disadvantages of alternative political formations and alternative hegemonic ideologies, of which the Chinese empire presents one of the most interesting examples. Without either embellishing or disparaging it, we may reflect upon its strengths and weaknesses and reassess its value, not only for a better understanding of the history of political ideas and political formations, but also for coping with the ever-changing political challenges of our own time. Now, I don’t think that Pines is a closet Reactionary, and he does offer a balanced assessment of the Chinese empire, giving both credit and blame where due, but it’s startling to see a scholar question the “narratives of historical progress,” refer to “democracy, equality, and human rights” as “hegemonic discourse,” and suggest that we examine the merits of alternative systems. An alternative to equality? To human rights? Though I have seen democracy called into question, these other two I’ve only seen criticised from explicitly Reactionary quarters or, in the case equality, from Libertarians (depending, largely, on how one defines “equality”). I don’t have enough connection to academia to know if Pines stands alone here or if it is, as he suggests, a growing trend. Either way, it’s encouraging to see a book that treats the past not only as an abstract academic subject, but as a source for useful ideas and lessons that we can borrow to our benefit.